The passion for construction that brothers David and Jim Bristol exhibited at a young age is beginning to transform parts of the South Shore, most notably with the newly built Village at Weathervane community off Union Street in Weymouth. 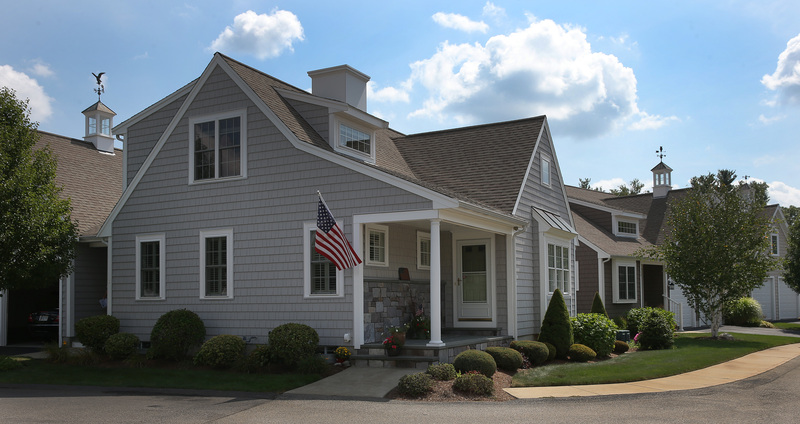 55-plus Village at Weathervane community off Union Street in Weymouth. Abuts the Weathervane Golf Club. The golf course was originally designed by architects Cornish, Silva and Mungeam of Mungeam Cornish Golf Design of Uxbridge and later enhanced by Howard Maurer of Maurer Design Group of Hopedale. Built by J.F. Price, the semi-private course surrounds the community and officially opened on April 15. As the project progressed and parcels of land were added, the initial vision expanded to include 149 single-family units. Villages at Weathervane I and Villages at Weathervane II are sold out. However, from time to time we have re-sales within the community. Please call Weathervane Realty LLC at 781-337-1777.